Your wedding flowers are one of the most critical parts of your wedding decor, and can really put the finishing touch on your special day. And what are the most important flowers at your wedding? The bouquet of course! You and your bridesmaids will be holding your chosen bouquet all day long. Therefore it’s vital you get it right and choose something you’ll love forever. Pantone’s Colour of the Year greatly influences wedding choices that are made for years to come. In 2017, Pantone chose Greenery; a delicate, slightly muted shade of green reminiscent of a leafy meadow. 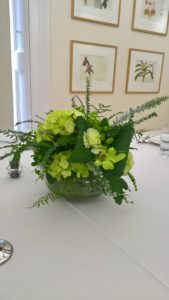 Because of this, wedding planners have noticed an increase in the number of people opting for bouquets and arrangements made simply of green foliage. This look is set to continue, as people are looking for more rustic looks for their special days. How to style it: Choose different shaped leaves and foliage in the forms of herbs like rosemary, lemongrass or eucalyptus, which come in all sorts of shapes and sizes. 2018’s love of bright, vibrant colours isn’t ending anytime soon. 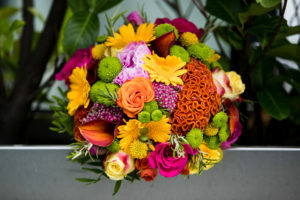 You can’t go wrong with a bit (or as the case may be, a LOT) of colour, and this is inspiring people to choose flowers that make a real statement. Tropical themes have been growing in popularity in the worlds of both clothing and interior design, which means that large, lush leaves of tropical plants like monstera, banana or palm trees are all being incorporated into wedding styles. How to style it: Primary colours are a great place to start with this trend. Use bright coloured Gerbera’s mixed with sunflower heads and bright, magenta roses and finish with large, dark green leaves like ferns for a bold look. In May this year, Prince Harry’s marriage to Meghan Markle sparked a trend for a subtle, relaxed wedding style that we predict will be on-trend for years to come. 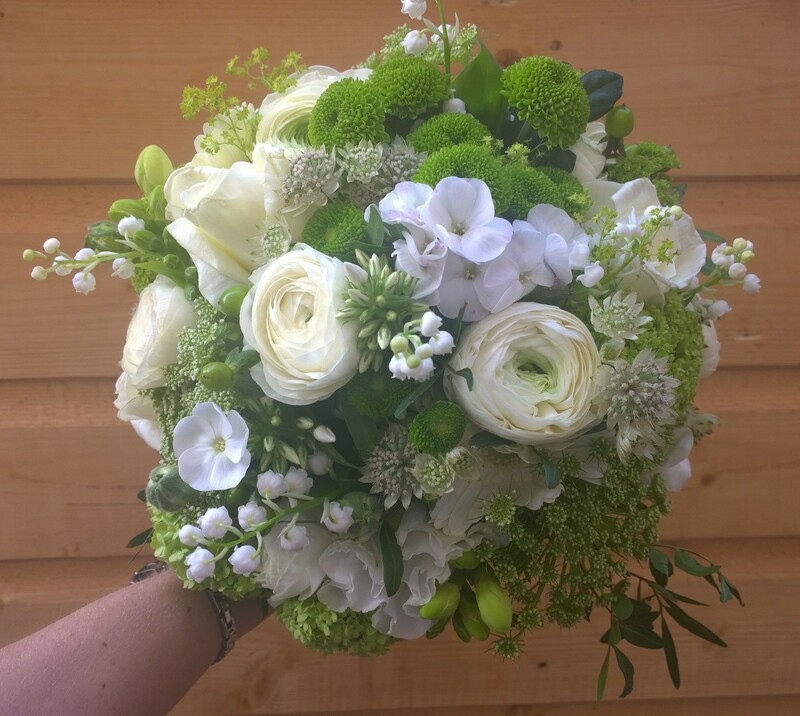 Her dress was a simple, elegant design, her make up was fresh and discreet, and she carried a beautiful, small ivory and green bouquet of flowers that finished the occasion off perfectly. How to style it: choose a handful of simple white flowers like rosebuds or daisies, and team them with small-leaved, delicate pieces of foliage like coral fern for a natural and effortless look.